The biggest T20 league in the world, the Indian Premier League, has been the breeding ground for budding Indian cricketers for quite a while now. It has been a huge platform for the youngsters to make their case and stake a claim for a spot in the national side. The likes of Ravichandran Ashwin, Jasprit Bumrah, Hardik Pandya, Umesh Yadav, Yuzvendra Chahal and many others came into the reckoning during the IPL. Not just Indians, many overseas stars have also established themselves into the consciousness of India's cricket crazy public over the years, like AB de Villiers, Chris Gayle and Lasith Malinga. Then there have been players from foreign countries who used the IPL as a platform to show their mettle and made their international debut after starring in the league. The likes of Shaun Marsh, Chris Morris and Glenn Maxwell fall in this category. 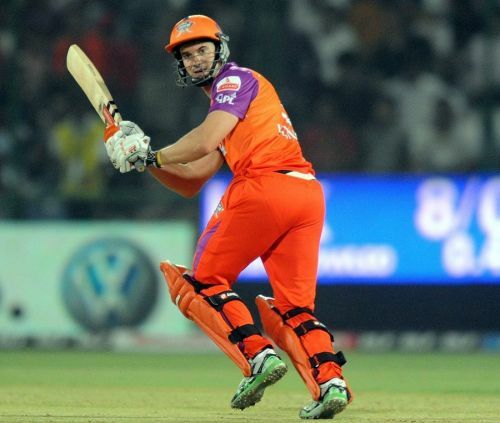 A huge name in Australian domestic circuit, Michael Klinger played for Kochi Tuskers Kerala for the only season the team played in the IPL, in 2011. The Kerala-based franchise purchased the 30-year-old Klinger for $75,000. Playing his first match against Delhi Daredevils, he got out for 2 in the second over of the game. Klinger finished with an aggregate of 73 runs from 4 matches at an average of 18.25 and a strike rate of 94.81. He had a highest score of 29 in the only season he played. Impressing everyone with a blazing century at Gabba on his Test debut, the Trinidad and Tobago opener was bought by the Kings XI Punjab for $75,000 in 2010. The 19-year-old Barath, however, did not get many opportunities in the IPL as he found it tough to break into the playing XI. In the only season he played, Barath featured in a total of 3 games, scoring 42 runs at an average of 21 and a strike rate of 100 with a best score of 33.